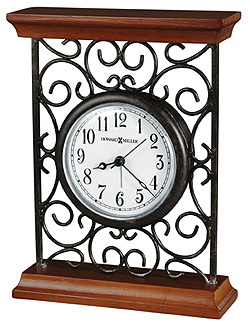 Metal wire carriage style alarm clock finished in warm gray with cherry finished top and base. The dial features a white background with black Arabic numerals. Acrylic crystal over the dial. A felt bottom protects your tabletop.